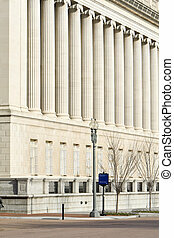 Imposing government building washington dc. 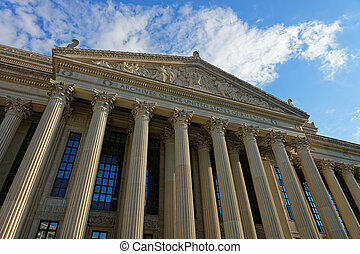 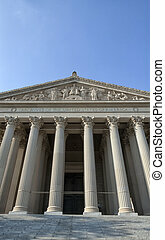 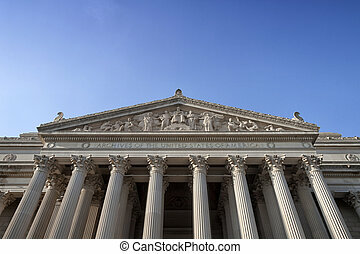 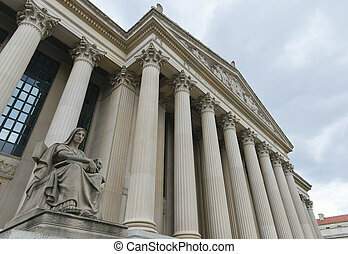 Mellon auditorium, at the environmental protection agency building in downtown washington, dc, unite states. 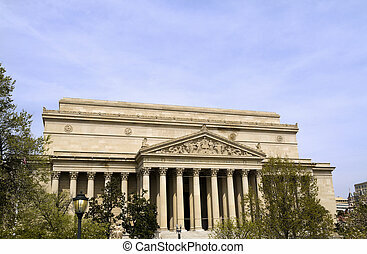 Archives of the United States Building in Washington DC as viewed up-close. 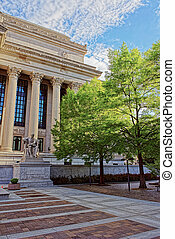 Washington DC, USA - May 3, 2015: Corner, sculpture and trees near the National Archives Building in Washington D.C., USA. 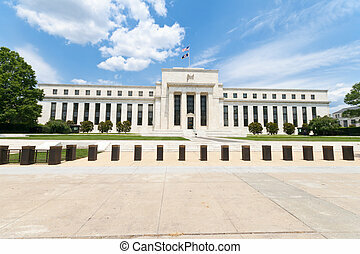 It was approved in 1926 and built in 1935. 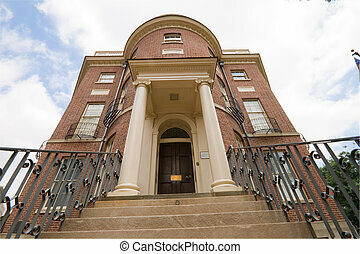 The architect of the building was John Russell Pope. 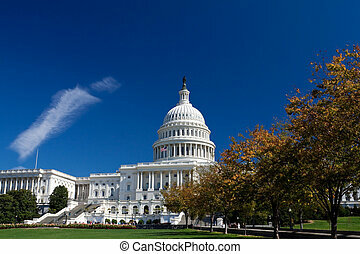 US Capitol building in winter, Washington DC, USA. 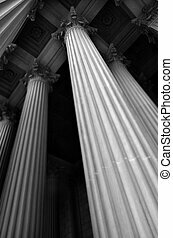 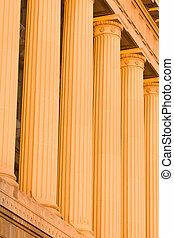 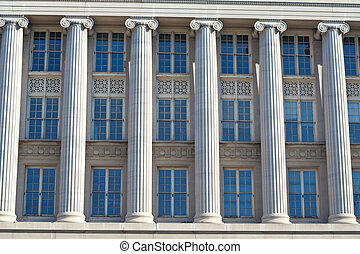 Row of columns of a federal office building in Washington, DC. 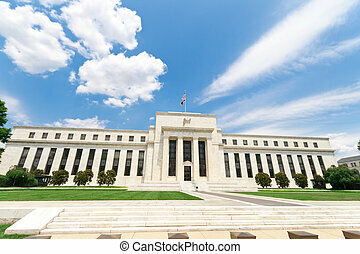 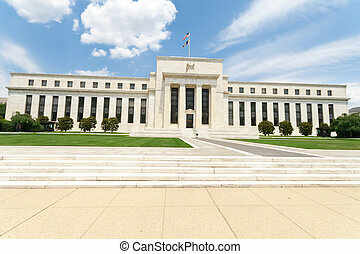 Federal Reserve Building in Washington, DC, United States. 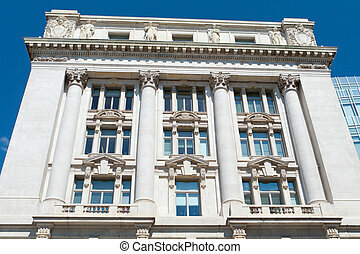 Art Deco/Neoclassical style. 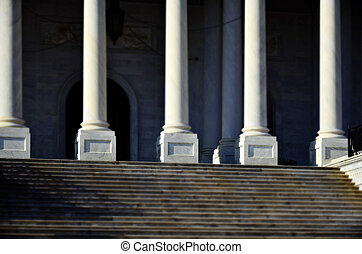 Federal-Adamsesque style steps for a house, Washington DC. 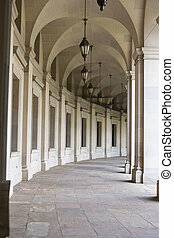 Colonnade curving away at the Reagan Federal Office Building, in Washington, DC, USA. 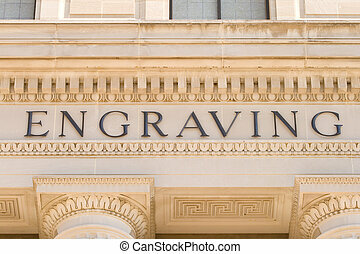 Building is named for former President Ronald Reagan. 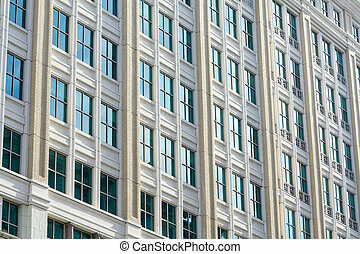 Modern office building facade in Washington, DC. 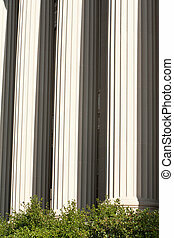 Repetitive elements give an abstract feeling. 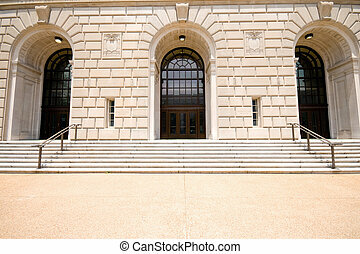 Front of the IRS building in Washington DC. 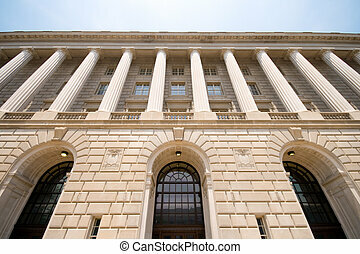 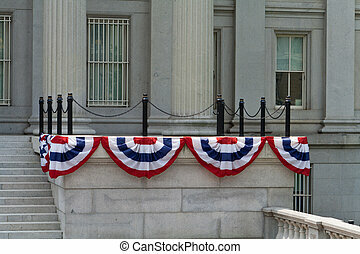 Facade to the Treasury Building Annex in Washington DC. 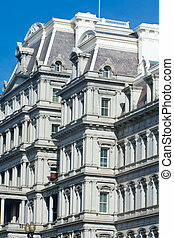 The Wilson Building which is the City Hall of Washington, DC, USA. 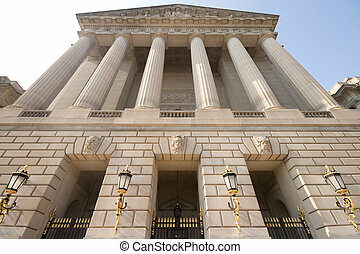 The building is in a Beaux-Arts style. 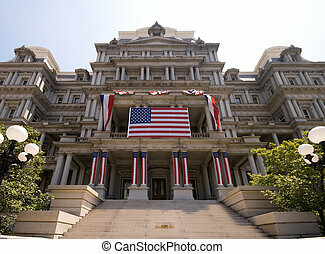 Old Executive Office Building, next to the White House in Washington, DC. 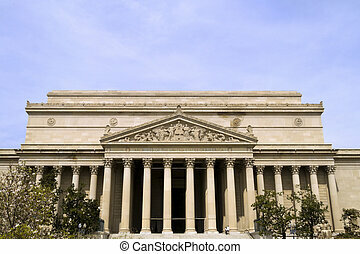 Beaux-Arts Style. 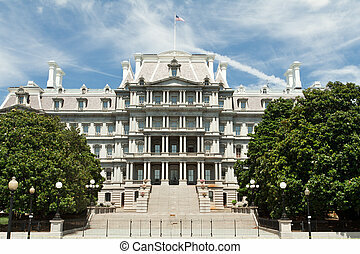 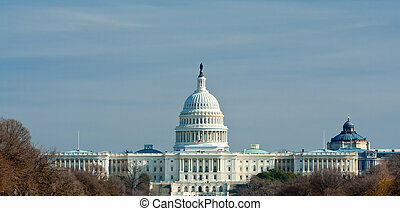 Many of the offices of the executive office of the President are here, such as the Vice President's Office, the Office of Science and technology Policy, and the National Security Council. 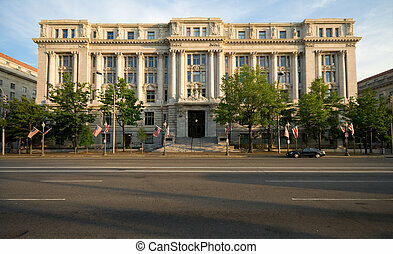 The Wilson Building which is the City Hall of Washington, DC, USA. 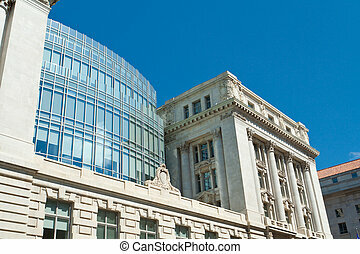 The building is in a Beaux-Arts style with a well done modern addition in glass on the top. 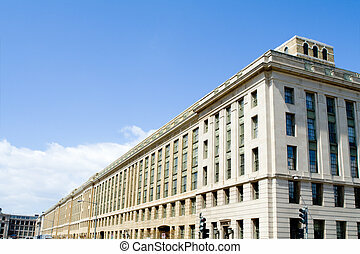 Securities and Exchange Commission, SEC, Building in Washington DC. 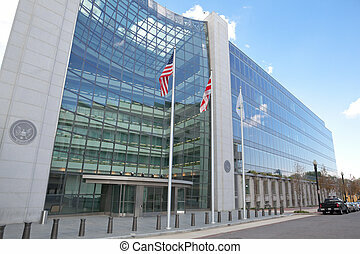 The SEC regulates stocks and bonds and related financial activities. 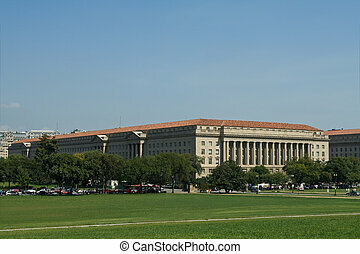 US Department of Agriculture in Washington DC. 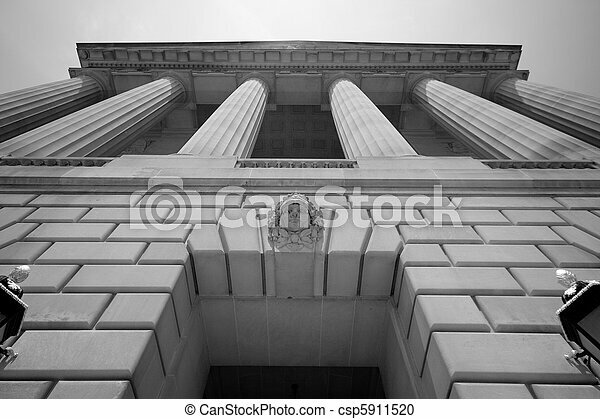 Imposing IRS entrance. 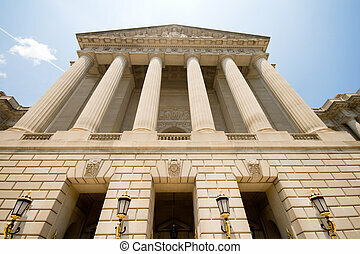 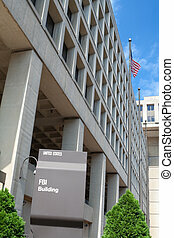 The IRS is the U.S. Government agency that collects income tax in the United States. 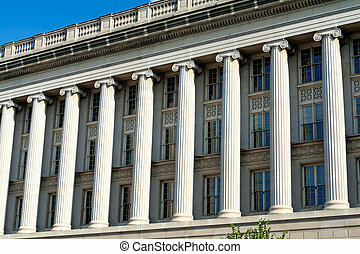 Facade of the US Department of Commerce in Washington, DC at sunset. 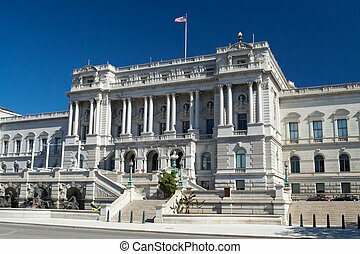 Library of Congress Washington DC done in a Beaux-Arts Architectural style in Washington, DC.